The founder and managing director of Brainchild Pictures, Raymond Tan is also a self-taught filmmaker. His maiden short film, Wa is for Wayang was screened at Singapore Discovery Centre for nearly 3 years. In 2014, a collaboration with mm2 Entertainment resulted in his debut feature film, Wayang Boy. The film was named Best Foreign Comedy Feature at the International Family Film Festival 2015 in USA and was subsequently shown internationally. 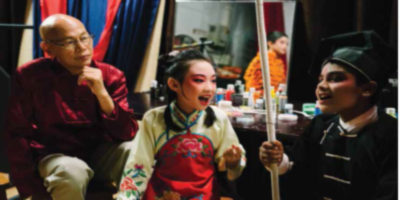 In March 2018, he released his second feature The Wayang Kids about a group of primary school children overcoming cultural and language barriers to represent their school in an international Chinese opera performance.